As promised, the HTC One Mini is now available from AT&T for $99.99 with a two-year contract, $349.99 for one year, or $429.99 month-to-month. 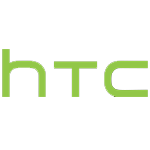 The mini-fied HTC One, for those who may have forgotten, is a 4.3" device with a 720p resolution (that's ~340ppi), an 1800mAh battery, Snapdragon 400 dual-core processor at 1.4GHz, 16GB built-in storage, and 1GB of RAM. 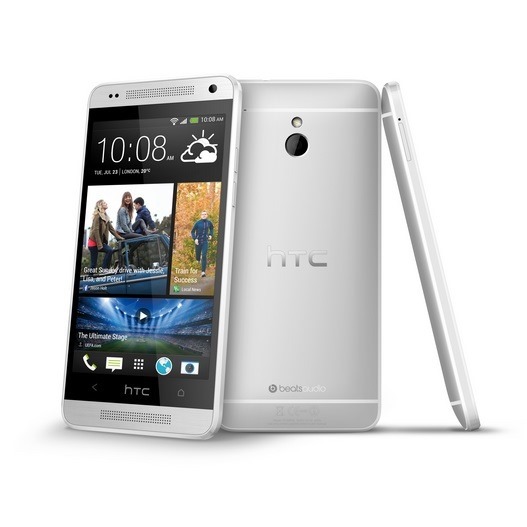 Though its screen and specs are downsized, the phone still carries some of the hardware - including front facing speakers and Ultrapixel camera - that made the HTC One a hit. 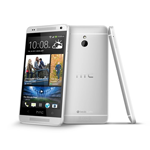 Is the HTC One "classic" just a little too big and ungainly? 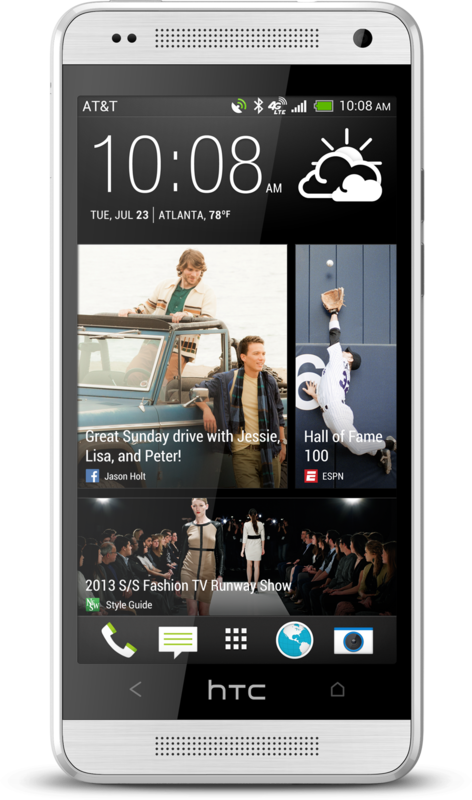 Then perhaps the HTC One Mini is up your alley. It just so happens AT&T is looking to sell one to you. 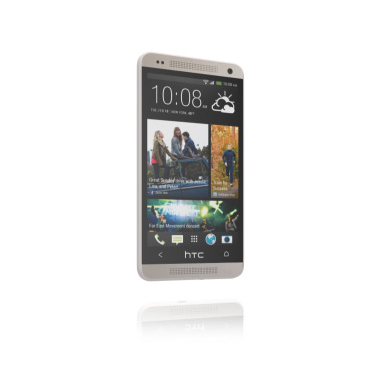 We've known the HTC One Mini was headed for Ma Bell, but the carrier just made it official. It's half the price of the full-sized One at $99.99, which isn't a bad deal. 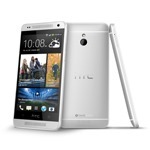 The HTC One Mini comes with Android 4.2 and runs a Snapdragon 400 ARM chip, 1GB of RAM, Ultrapixel camera, and a 4.3-inch 720p Super LCD2 screen. We've already seen plenty of HTC's One Mini for AT&T in the flesh, but a blurrycam can only go so far. Tonight, we've got one more treat – a crisp, clear press shot of the device. While the shot doesn't hold much more information than what we already saw in our exclusive photos recently, it's interesting that the Beats Audio logo isn't sporting its typical red brand color (though the same is true for the press shots that have been released). We revealed the full details of the HTC One Mini yesterday, but now the Taiwanese company has made the smaller phone's official debut. The One Mini is a 4.3-inch counterpart to the larger One, alike in design if not specifications: the general look and shape of the flagship is preserved, along with all the software features, plus the Ultrapixel rear camera and "BoomSound" front-facing stereo speakers. HTC plans a worldwide rollout of the One Mini starting in August and continuing into September, with no prices available yet. 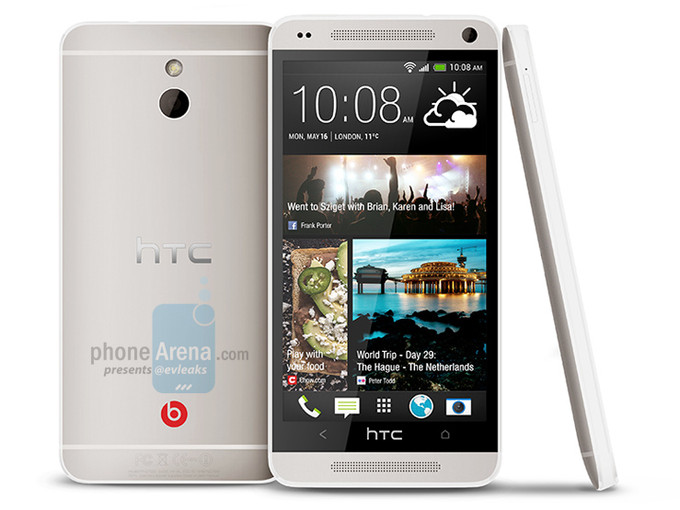 If we showed you a picture of the rumored HTC M4 right now, you would just think it's the One. Since HTC's newest flagship has such a fantastic design, it only makes sense (I really love that pun when talking about HTC) that the company would apply the same design elements to other handsets, as well – but the M4 is essentially a direct copy, only smaller. So it should be perfect for those who don't like huge phones.